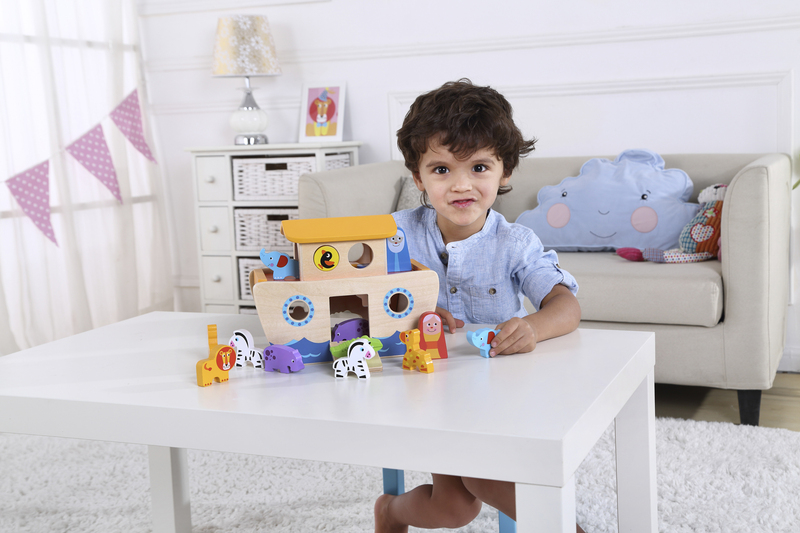 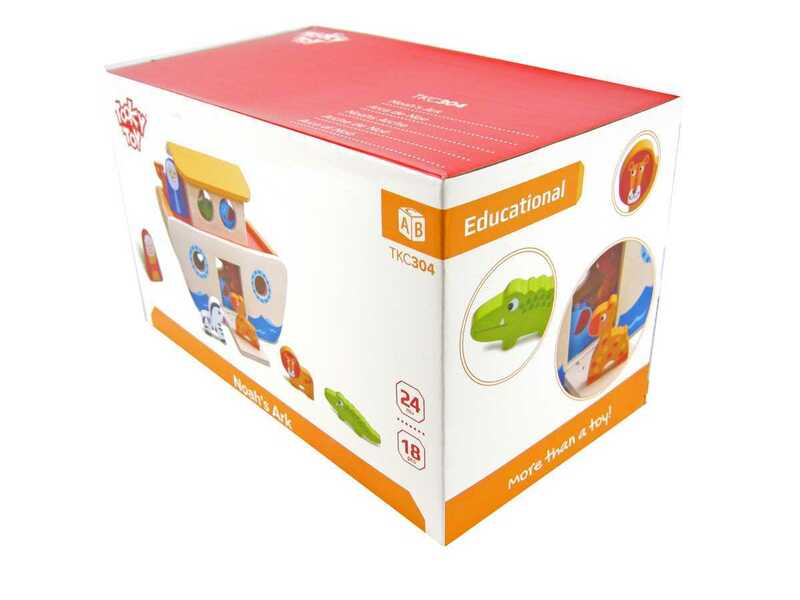 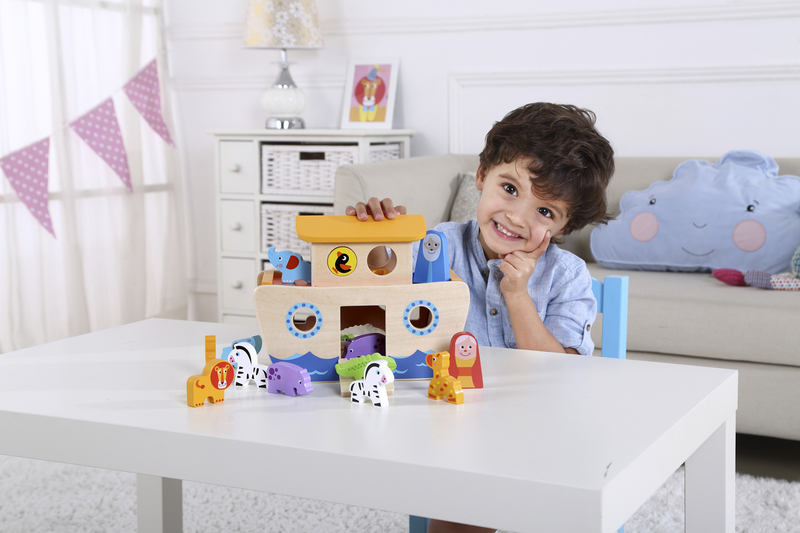 Our new and improved Noah's Ark playset is one of a kind. 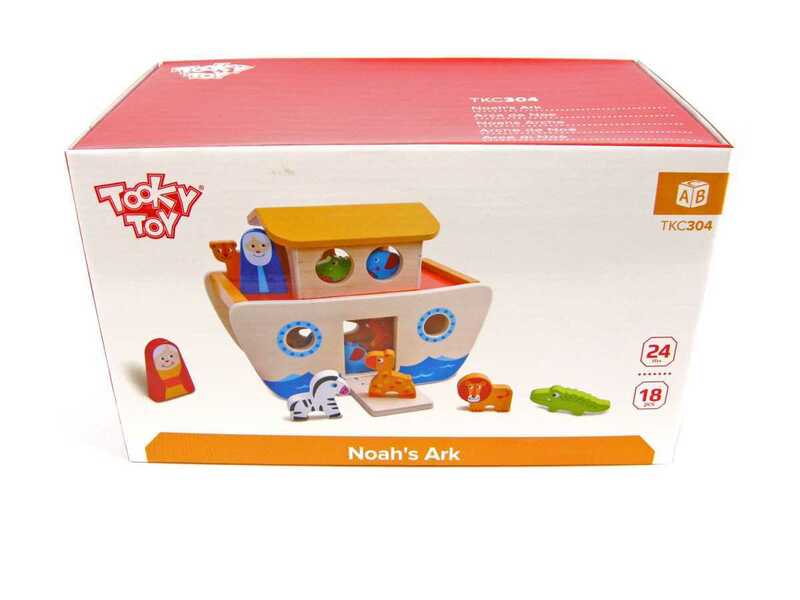 Kids get the opportunity to bring this classic story into real life as they stack their animals inside of Noah's Ark. On the side of the boat there are cut out shapes to put the animals through. 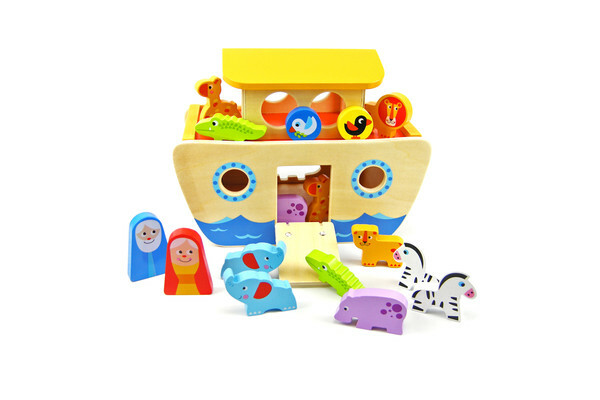 This will help to improve fine motor skills. 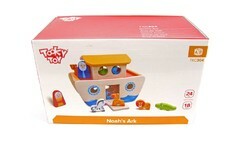 Made with good quality wood and paint used are non toxic.